Here is the second update of 2014, in this update with 83 auto repair manuals We also included manuals that we have repaired since they could not be downloaded. These are the new ones Workshop manuals and repair of vehicles who have gained or repaired since the last update. Workshop Manual and Service Manual Isuzu diesel engine 4ZB1-T. The manual is written in English. The operation (for the user) Atlas loader Scooptram ST7LP ST7 and Manual. The operation (for the user) Atlas loader Scooptram ST2G Manual. Workshop Manual and Ford diesel engine repair V8 6.9 1985 year. The manual is written in English. Wiring diagrams and wiring Honda Accord 94-95 includes the entire electrical system and wiring. Selespeed system mounted on 156 147 and vehicles. Description of the system, component identification and troubleshooting. Workshop manual, service and repair Dualogic Fiat in Portuguese. Exploded view or parts catalog Honda XR Tornado 250. It's in different languages: Spanish, English and Portuguese. Workshop manual, service manual and parts of the bike CF250-V5 (V9) and CF250 Jetmax. Engine operator Om 460 the MBE 781 4000 guide, this engine is installed on Freightliner trucks with Detroit license. All information of the electronic circuitry of Opel Astra whether 2.0 SOCH engines, 1.8, DOHC diesel engine. Complete diagrams of the Toyota Hilux electrical system. It is valid for all models between 2005 and 2011. Parts Catalog exploded vehicle or UMM Alter II. This manual is written in Spanish, French, Portuguese and English. Cutting or catalog of all parts R8 Renault. It is written in Spanish. Workshop manual, service and repair of electronic control QG18DE Nissan. This manual is written in Spanish. Workshop manual, service and repair timing belt Audi and Volkswagen 1.9TDI PD. It is written in Portuguese. Workshop manual, service and repair of automotive air conditioning Chevy Tahoe. This manual is written in Spanish. Wiring Diagram Honda Motorcycle CG125 model. This manual is written in Spanish. Workshop manual, service and repair the system boot. This manual is written in Spanish. Workshop manual, service and repair Audi TT Roadster. This manual is written in Spanish. Parts Catalogue Yamaha DT 200R in Portuguese. Workshop manual, service and repair of hydraulic system JS330 JCB. This manual is written in Spanish. Wiring diagrams or electrical diagrams, A / C, ABS Injection and Renault 21 (R21). It is written in Spanish. Schematic Diagram of the Ford Explorer 1996 full English. Operation, workshop, service and repair engine 2 times. This manual is written in Spanish. Workshop manual that explains how to fix the metal bumps on the body and how to clean the coche.Está in Spanish. Parts Catalog (cutting) of the Honda CBR 450 SR. The manual applies to models from 1989 to 1994, is written in Portuguese. Service Manual and Workshop Manual Honda CBR 450 SR. This workshop manual applies to models 1989 to 1990, it is written in Portuguese. Manual repair of the electrical system in the Corsa B in Portuguese. A hand tool that solves problems controlled by the PCM system. Workshop manual, service and repair the immobilizer Kia. It is written in Spanish. Workshop Manual repair service and describing the injection system Magneti Marelli IAW4SGF / IAW4DF equipped in line 2009 Fiat models. It is written in Spanish. Sirion Daihatsu Motor 2002 K3 motor assembly and manual distribution in Spanish. Workshop manual and service manual for the Kia Pregio, used Kia for K2700. Manual to solve the electrical problems in the Land Rover, Model Discovery (1996). It is written in French. Components and Operation Manual IMPCO LPG system. It is in Spanish. Workshop manual, service and repair Toyota 1KD-FTV engine. It is written in Spanish. This file contains the workshop manual and repair manual mazda 6 more organized there with their information, precautions, explanatory notes, tools, and most importantly is organized by each system. Mechanical Manual Volkswagen Beetle and Kombi (1 2 and type). Workshop manual, service and repair of engines and T4236 International 4236 E. It is written in Portuguese. Suzuki Swift 1.6 Service Manual (SF416 GLX) in Spanish. User and Service manual Yamaha XT motorbike 600 E in Portuguese. Workshop Manual and 1006T 1006 Maxion. It is written in Portuguese. Workshop Manual Honda Motorcycle CB750, the manual applies to all models ranging from a 1991 1999. Workshop Manual Komatsu PC 200. It is written in Spanish. Owner Manual and User Citroen Saxo MK1. This manual is written in Spanish. Characteristics, regulations and tips 4cv Renault repair. The manual is written in Spanish. Workshop manual, service and repair Yamaha F150. It is written in Spanish. Manual repair and service manual Chevrolet Monza in Portuguese. General Workshop Manual Model Ford Galaxy 00 Spanish. Full manual with electrical diagrams Suzuki Jimny in Spanish. It would be a complement to the Workshop Manual Suzuki Jimny sn413. Workshop Manual repair service and minivans: C8 Citroen, Peugeot 807, Fiat Ulysse and Lancia Phedra. It is written in Spanish. Workshop manual and complete service for vehicles UMM Alter model I and II. These manuals are written in Portuguese. Workshop and service manual Honda XLR motorcycle 125 Manual. The manual is written in Spanish. Books full of truck parts Utilev UT20-25P. The manual is written in English. Small practical tutorials that teach you to perform various maintenance tasks and offer motorcycle mechanics information. Workshop Manual Mercedes MBE 4000 engine which is installed on all types of trucks such as Freightliner Columbia in the truck. This file relates the concepts of mechatronics and autotronics. It also establishes their differences and technical content. It is in Spanish. Workshop Manual measures crankshaft several brands. It is written in Spanish. Workshop manual, service and repair of the engine control unit EECU buses. It is written in Spanish. Service manual and workshop manual Jac van SunRay, the manual is written in English. Workshop manual, service and repair Peugeot automobile 206 cc. It is written in French. Electrical diagrams for the Volkswagen Polo. It is written in German. Workshop and Repair Manual Golf IV SDI-TDI models 90 and 110CV. Workshop Manual Renault Megane Phase 2 (from 1999). Valid for 1.9 D, 1.9 dTi, 1.9 dCi, Sedan, Classic, Break, Scenic and Coupe models. Schematics and wiring diagrams of the Citroen Saxo. Compilation of different manuals covering models from 1996 to 2000. Workshop manual and repair manual Suzuki LJ80-LJ81 English. Information on Diesel injection systems from Bosch. Explain each item in the system and gives technical specifications of each. It is written in Spanish. Operation and Maintenance Manual for Komatsu loader mini SK1020. Location and troubleshooting Caterpillar truck and 3126E 3126B. It is written in Spanish. Technical Information A3 Audi electrical system. This is a technical manual, it is not workshop manual. Manual SAE fasteners, bolts and nuts in metric English for Caterpillar engines. It is written in Spanish. Repair Manual Opel / Vauxhall Astra. The manual is written in English. It is valid for the first generation models. Technical explanation of the operation of continuous brake Brake Retarder Voith Turbo R 115 VH. Workshop manual, service and repair of breakdowns in alternators. 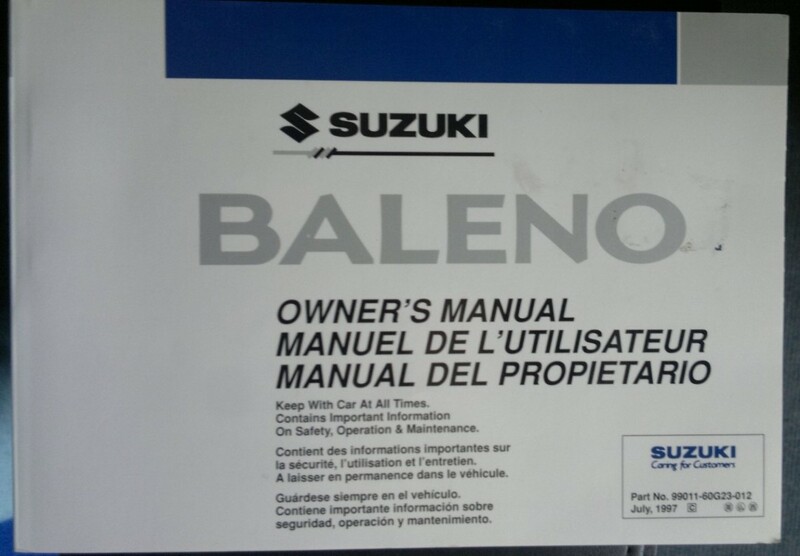 The manual is written in Spanish by Valeo. Workshop Manual Yamaha motorbike XTZ125. Through this book you will learn the parts in your vehicle is divided and maintenance procedures and troubleshooting. Owner Manual Yamaha Dragstar bike VXS 1100. It is in Spanish.